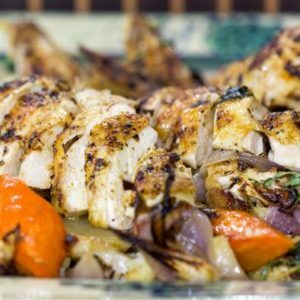 There’s nothing like hanging out by your Hasty-Bake with a good beer, which also happens to make chicken juicy and incredibly tasty. 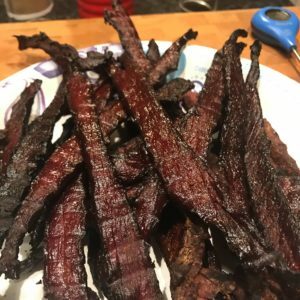 This recipe is so easy, anyone can do it! I like to do one bird with Hasty-Bake Greek Seasoning and the other with Hasty-Bake Rub N Spice for a little variety. 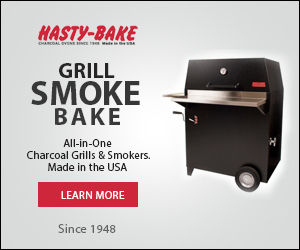 Prepare Hasty-Bake for smoking. Grill is ready when it reaches 250-300 degrees. 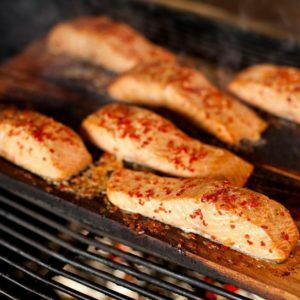 Add a few handfuls soaked hickory chunks directly to the hot coals right before you put the chicken on the grill. Remove the insides of the chicken. Rub Italian dressing liberally over both chickens. Liberally sprinkle Hasty-Bake Rub N Spice on one of the chickens and pat. Liberally sprinkle Hasty-Bake Greek Seasoning on the other chicken and pat. 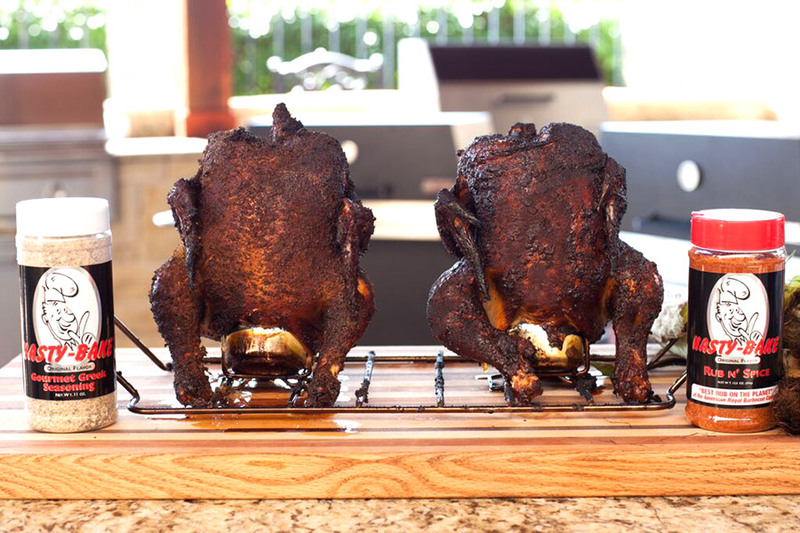 Stand both chickens on top of beer cans and put on the grill. 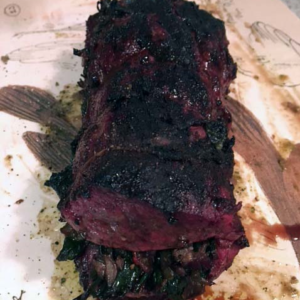 Close the lid and allow to smoke for 2-3 hours, or until a meat thermometer reads an internal temp of 165 degrees. Let rest for 5-10 minutes then enjoy.